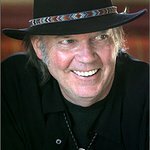 Neil Young will once again be hosting some of the music industry’s biggest acts at this year’s Bridge School benefit concert on October 25 and 26. Joining the iconic rocker for the 28th Annual Bridge School Benefit Concert will be Pearl Jam, Florence + The Machine, Tom Jones, Soundgarden, Norah Jones, Pegi Young and more. The Bridge School is a non-profit organization whose mission is to ensure that individuals with severe speech and physical impairments achieve full participation in their communities through the use of augmentative & alternative means of communication (AAC) and assistive technology (AT) applications and through the development, implementation and dissemination of innovative life-long educational strategies. The Bridge School is an internationally recognized leader in the education of children who use augmentative and alternative communication and has developed unique programs and trained highly skilled professionals in the use of state of the art assistive technology. The first concert was held October 13, 1986 and, with the exception of 1987- the year the educational program was launched- it has become a highly anticipated Bay Area favorite. 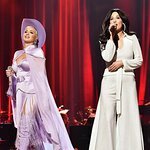 The concert will take place at at Shoreline Amphitheatre, and tickets will go on sale Friday, September 19, 2014 at 10:00 AM PDT at Live Nation, the Shoreline Amphitheatre box office, all Ticketmaster outlets, or by calling (800) 745-3000. Tickets are $150.00 and $75.00 for reserved seats and $35.00 for general admission lawn plus applicable charges. There are a limited number of general admission lawn 4-packs available for $99.00 plus applicable charges. Complete information about ticket sales, pricing, seating charts, parking, etc. can be found on the Live Nation site.